17 displaced Tojolabal families fear further violence against them. 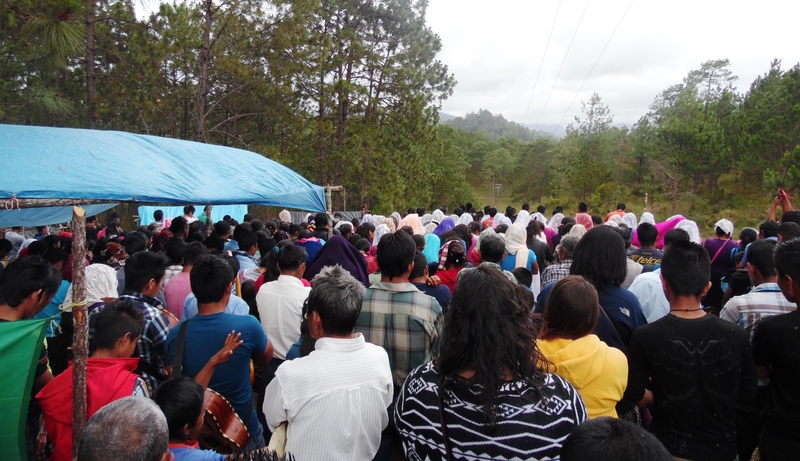 On 15 March 2015, in the camp of families who were displaced more than 20 days ago from the community of Primero de Agosto in the municipality of Las Margaritas, 550 people came from neighbouring communities to show solidarity and support through a religious ceremony, due to the fear of having one more misfortune in this jungle border area. The vast majority of the people who arrived came from 13 different communities in the region, along with representatives of CDH Frayba and internationals in solidarity. Despite the insistent leafletting telling them not to support the 17 displaced families, and harassment by members of the CIOAC-H, the neighbouring communities came, massively choosing peace and brotherhood. The residents of Primero de Agosto tell how, this same morning, before those in solidarity arrived, some ejidatarios from Miguel Hidalgo, where the aggressors come from, walked in front of the camp communicating with radios. 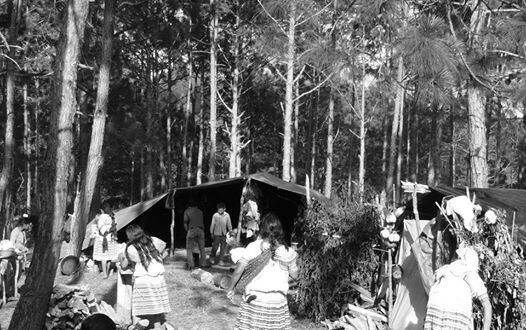 They also reported that during the week, while walking next to the camp, the ejidatarios laughed, joked and commented that they would throw them out one more time. 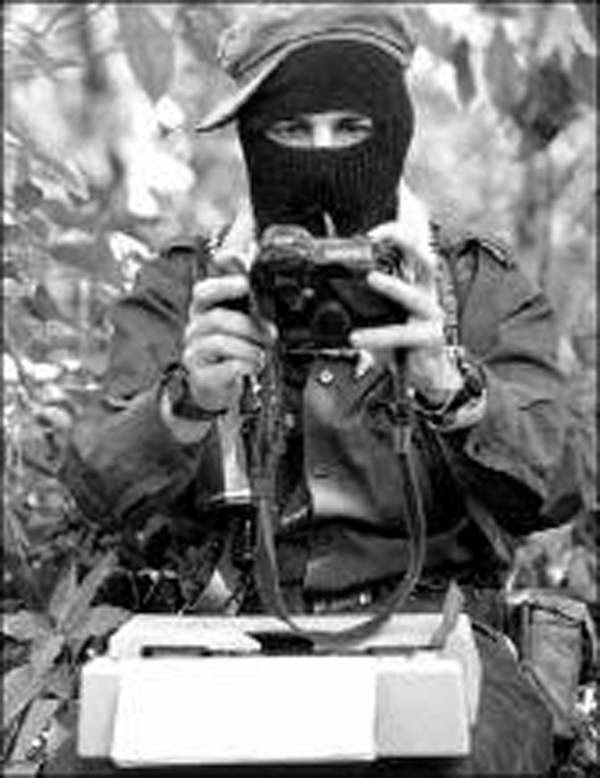 It was reported that even in Las Margaritas they came to insist that those in solidarity did not bring aid to the “young” because they did not need it. The 57 displaced souls live in very poor conditions and now have no home. They have only canvas tents without floors. They have no easy access to water, and as campesinos, they lack land to work. Nevertheless, they survive with the support they receive in solidarity. As a result of these inhuman conditions, they are suffering from illnesses, both the children and the women, of whom one is pregnant. From all this, they conclude that the members of CIOAC-H are looking to do away with them and complain that the government does not seek to resolve their situation, following a roundtable dialogue that lasted awhile. The local population is aware of the suffering endured by these families, their condition and their pacifism, which persists against the attacks and harassment perpetrated by the ejidatarios of Miguel Hidalgo, so there can be no doubt of the need to support them. It is thought that they need land to found a family; it is legitimate that they have lived there and their dispossession is not valid. They still remain firm in their positions, they are not going anywhere, unless it is back to the village which gave them life and of which they are the guardians. It is of great importance to them to that justice is done and that there is mutual respect among all. The displaced indigenous Tojolabales are calling for public opinion to be aware of their problems and they call for a more global solidarity to demand that the government does not wait for one more eviction or to see… one more massacre.